In honour of St. Patrick's Day, here are a couple of neat green fungi. I was going to do plants, but there are just so many to choose from. Ha ha. 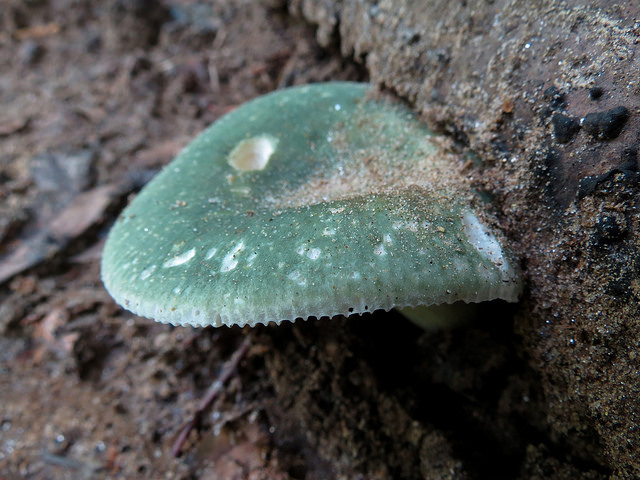 Russula virescens, as its name implies, has a green cap. It also has a mild taste and smell, unlike some close relatives (e.g. R. emetica and R. xerampelina). It's commonly eaten in parts of Europe and China. In other festive news, Russula species produce a rainbow of mushrooms: red, orange, yellow, green, blue, and purple. Members of this genus associate with trees, the two partners exchanging nutrients beneath the ground. Amanita phalloides is known as the death cap since its mushrooms kill people (they're full of liver-destroying amatoxins) and their caps often have a sickly green tinge to them. This fungus has spread from its home in Europe to many parts of the world via the introduction of trees with which it associates. 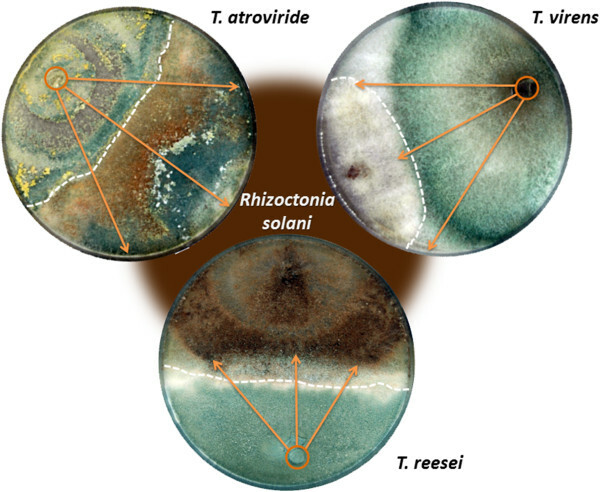 Trichoderma fungi, which take the form of moulds and produce green spores, are typically found anywhere you have soil or dead plants. They hang out near plant roots, helping the plants to fend off other fungi. 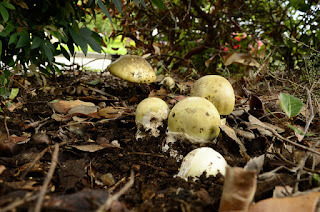 Certain species like to eat button mushrooms, which is a big problem if you're a mushroom grower. 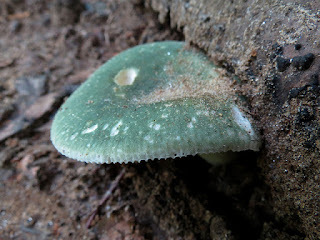 To finish up, it's worth mentioning a couple of famous blue-green fungi. You've got wood-staining Chlorociboria and penicillin- and cheese-making species of Penicillium.